According to Food & Wine, executive chef Braulio Bunay was inspired by a rainbow he saw on the Hudson River. He also wanted to make something that would look great on social media. The restaurant also serves the world’s most expensive pizza for $2,000. The 24K, gold, Pizza has to be ordered at least 2 days in advanced. 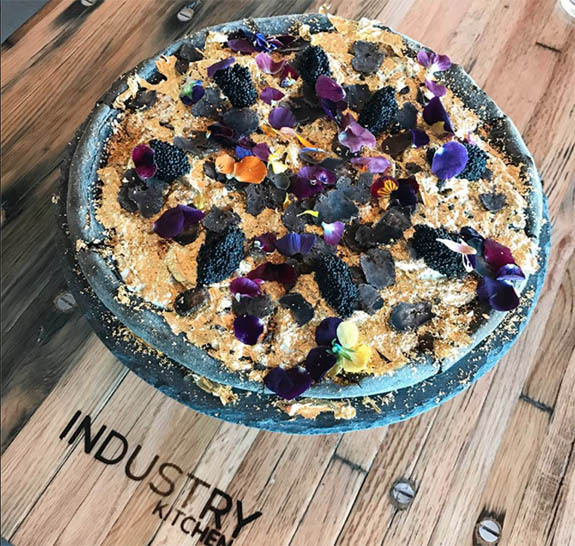 It’s a squid ink crust pizza topped with stilton cheese, foie gras (duck or goose liver), platinum caviar, truffles, and 24k gold leaves. Essentially anything edible and expensive is thrown onto this pizza! Unfortunately, it doesn’t come with a side of diamonds. Would I eat the Pop Candy Land pizza? I’d try one small slice, but there’s no way I could handle that much sugar. 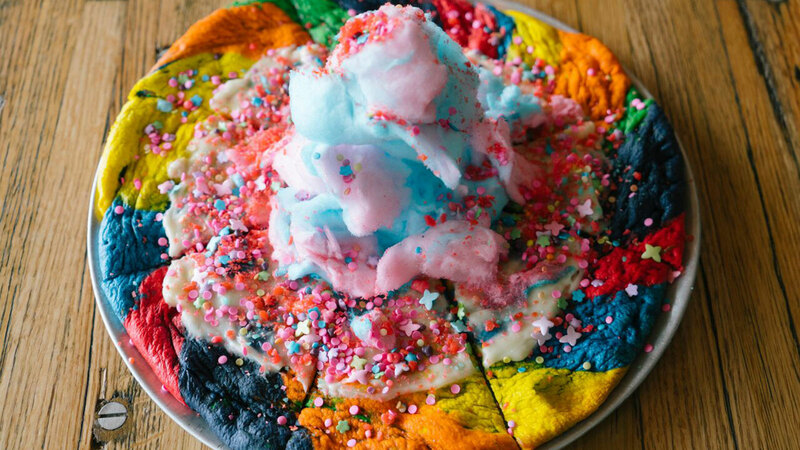 The Pop Candy Land pizza is $18 at Industry Kitchen in NYC. It’s definitely a dessert you’d want to share. Would I eat the 24K gold pizza? No, that is a little too rich for me both in taste and wallet.